The Mitsubishi Outlander, style and function built for your life and whatever it may throw at you. Complete with choice of a powerful V6 engine, astounding towing capacity, Super All-Wheel Control, and 7-passenger seating; this SUV is made to be bigger than life. 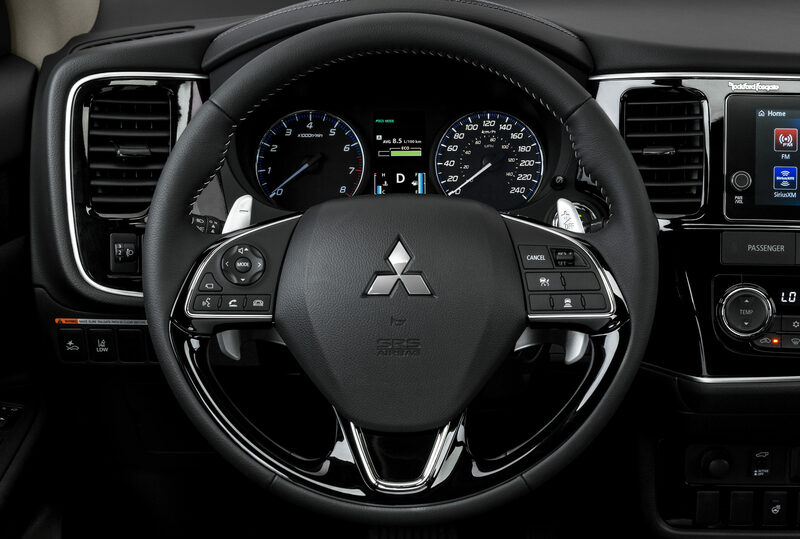 The Outlander is the premier Mitsubishi design standard. 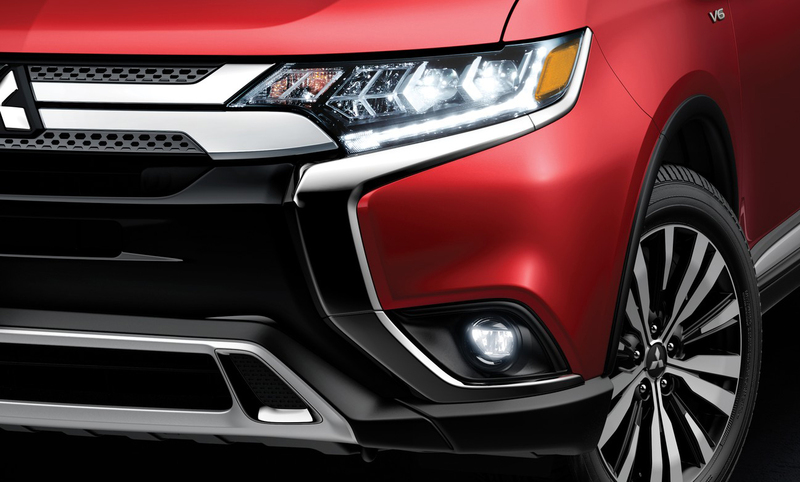 Sleek LED headlamps, 18” alloy wheels, front and back chrome accents; and the visually stunning trademark “Dynamic Shield” grille design with its bold chrome outlines and gloss black bumper accents, the Outlander is made to impress. Stylish, and rugged, designed to help you over all of life’s speed bumps. Mitsubishi’s top-of-the-line SUV offering continues to be unique compared to the competitors. You can choose the standard 2.4L SOHC 4-cylinder engine with CVT, or for power users, the available 3.0L SOHC V6 engine with 6-speed automatic transmission providing 224 horsepower and 215 ft-lb of torque. It also manages to produce a low level of emissions as well as provide one of the most competitive fuel economies out of any vehicle of its class. The Outlander produces a fuel efficiency rating of 12.0 L/100km City and 8.8 L/100km HWY. The 2018 Outlander packs in more technology and innovation than ever before. 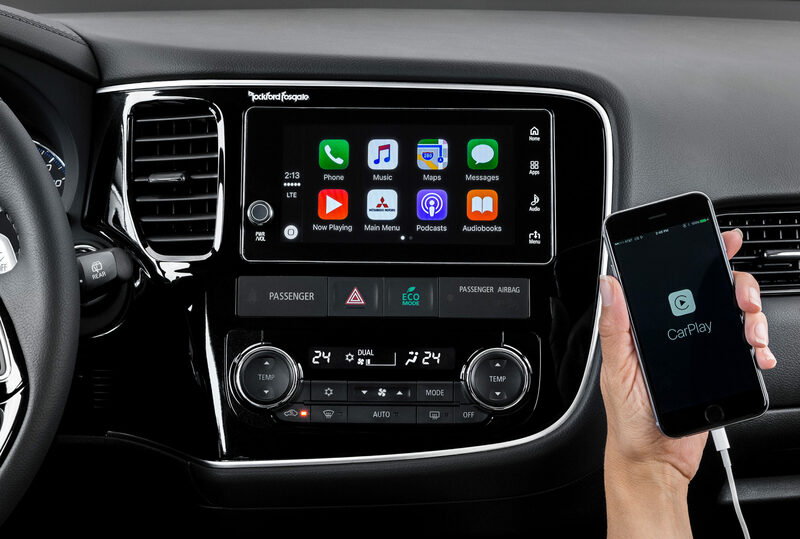 It comes with Smart Display Audio, featuring both Android Auto and Apple CarPlay; and for us in Alberta – heated steering wheel! 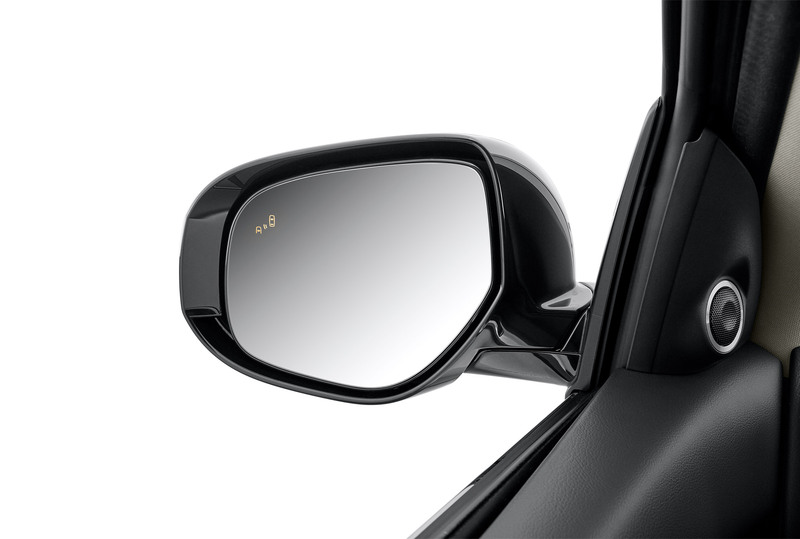 The Outlander offers some of the best active and passive safety features in the industry, such as Blind Spot Warning, Rear Cross Traffic Alert, and the comprehensive Multi-View Camera System. 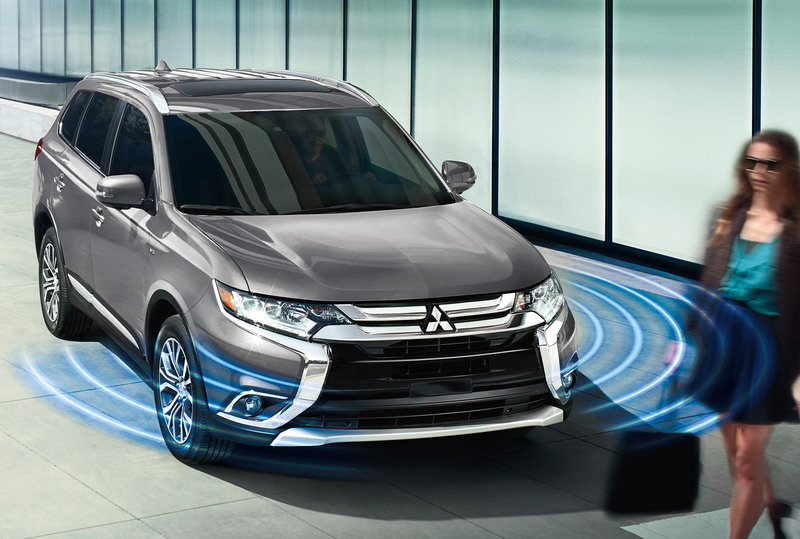 Combine this with available Forward Collision Mitigation, Lane Departure Warning, Adaptive Cruise Control, and the world’s most advanced 4-wheel drive system – Super All Wheel Control, your everyday adventures are safe with an Outlander.